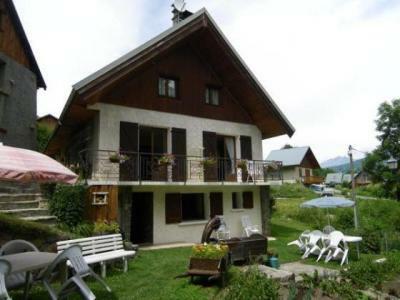 For successful summer holidays in the mountains, book your accommodation to Montalbert in Northern Alps massive, Savoie. This mountain resort will offer you exceptionnal areas and surprising landscapes. Your summer accommodation to Montalbert will be for you a moment of wellness in the heart of a beautiful nature and you will spend holidays in wide open spaces. Our moutain offers will make you live warm emotions with all your family. We propose you quality holidays accommodation in all French massives, in the heart of mountains. We have many residences to rent for your summer to Montalbert. Let yourself be carried by a feeling of happiness, enjoy the summer holidays in the mountains full of sun and discoveries ! The Hotel Club MMV Les Sittelles*** is the place where you will have nice family holidays. 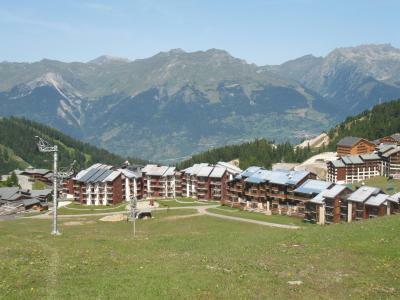 It is situated in the village of La Plagne Montalbert. You will take advantage of the outdoor swimmingpool, and of the wellness area (sauna, hammam, jacuzzi). Children will have fun at the Kid's Club. 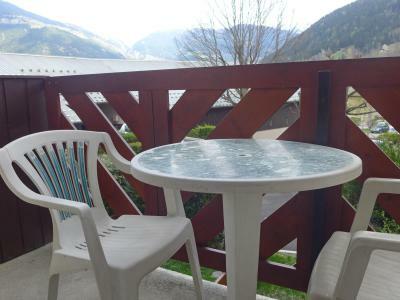 The residence Le Plan d'Amont is situated in le plan area in Pralognan La Vanoise, it is a residence bright, comfortable apartements in a peaceful neighbourhood. It is 400 m from the centre and shops. Ski resort map : J8. 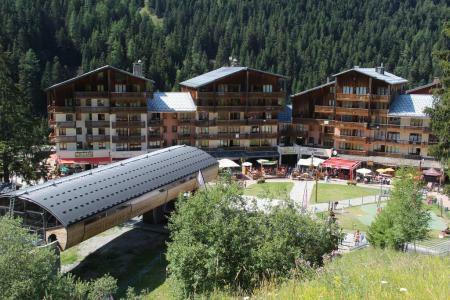 Located on the heights overlooking the resort (800 m from the centre), The Chalets Valoria at Valloire is a high standard residence built in a style typical of the region, and boasts an exceptional panoramic view over the valley and resort. It consists of 6 buildings and offers spacious apartments with all modern conveniences. 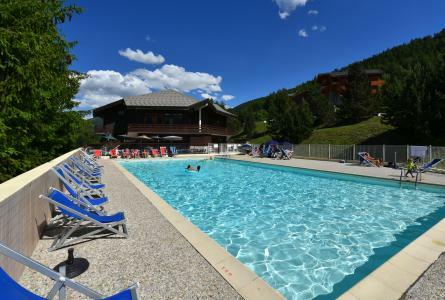 Large chalet located in the hamlet of Verneys, 2 km away from the center of Valloire. Ski shops, bakery and press are 500 m away from the Falcoz. Calm. Public parking nearby. The residence "La Roche Blanche" is located in the middle of Val Thorens. Behind the tourist office, 100 metres to the "Place Caron", shops and restaurants. Resort map: N°24/D1. IMPORTANT: Due to the "Tour de France 2019" and the "Etape du Tour", arrivals and departures will not be possible on Sunday, July 21st and Saturday, July 27th, the road will be closed. On Friday, July 26th, traffic will be possible ONLY before noon. Please, check information from "Info Route" for traffic conditions..
At the foot of the famous Col du Galibier and the Telegraph, You'll discover Valloire, an authentic village of charm. 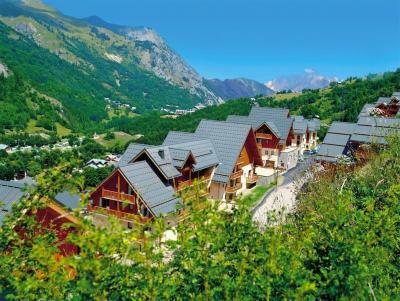 The Chalet Les Ecrins is located in the resort center and nearby shops. It's ideally situated for family or friends holidays. Resort Map n°C7. Bourg St Maurice: Residence "Les Glières", 5 storeys. In the resort 450 m from the centre of Bourg St Maurice. For shared use: swimming pool (01.07.-31.08.). In the house: lift. Parking. Shop, grocery, restaurant 450 m. Skisport facilities 300 m. Please note: There are more similar properties for rent in this same residence. 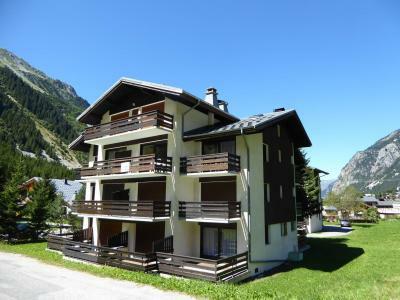 with direct access to Les Arcs. The apartments are divided to the resort, near to the shops (except studio for 4 people and studio mezzanine/2 pièces 5 personnes situés à 1.5 km max).